This hilltop beauty in Derby, Vermont is our Deal of the Week! Large contemporary 5 bedroom, 2 1/2 home on 12.5 acres offers space for everyone. Large well-appointed granite kitchen with hardwood cabinetry and stainless appliances plus several living spaces make this a wonderful property for entertaining. Master suite on main floor has a huge walk-in closet and master bath with an air tub, dual sinks and custom tile shower. Big porch from which to enjoy the magnificent views. Oversize 3-bay garage with heat and water. $385,000 Click here for more details and contact Nick Maclure to see this property. Luxury awaits you in this gorgeous Modern Architecture home in Derby, Vermont - it's our Deal of the Week! This large (5,253 sq.ft.) four bedroom, four bath home features granite & stainless steel kitchen with dining bar, separate eating nook, formal dining room, living area with gas-burning stone fireplace, office/study and half-bath. French doors from the family room bring you to a nice patio with Pergola and the in-ground heated pool and hot tub. Back inside, take the grand winding staircase upstairs up to the large master bedroom with walk-in closet and en-suite bath with Jacuzzi tub. Three more good sized bedrooms and a full bath complete the second floor. The lower level has finished recreation room and 3/4 bath with walkout to the pool & hot tub. Radiant, multi-zone heating system. In addition to the attached 2-car garage, there is also a detached 2-car garage with finished overhead storage. This home sits on 6.54 beautifully landscaped acres with lake and mountain views. It doesn't get much better than this! $625,000. Click here for more information and contact Dave Campbell to see this property. 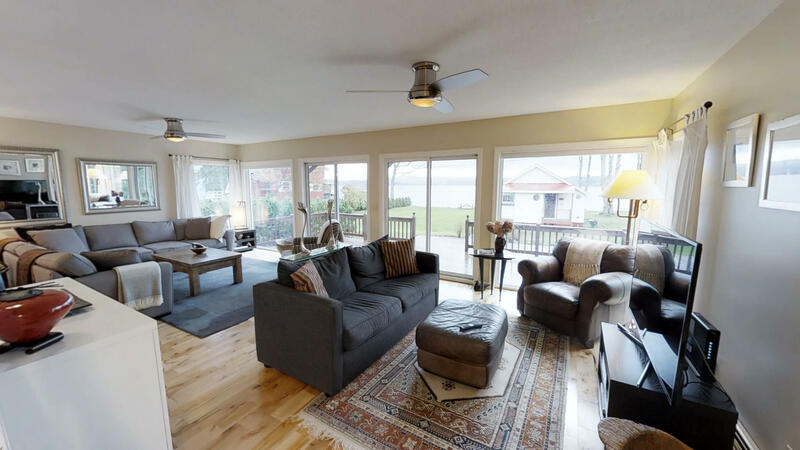 Bright and airy home for sale with 50' of private sandy beach frontage on Lake Salem - it's our Deal of the Week! This year-round home has had many renovations. The first floor offers an open concept with large kitchen, full bath, hardwood floors and lots of windows lending ample natural light. Upstairs you will find the master bedroom with private balcony, three additional bedrooms, full bath, office and sitting area. Heated 2-car garage and detached 1-car garage. This home is in wonderful condition and is waiting for its new owner(s)! $274,900. Click here for more information and contact Nick Maclure to see this home. You are going to fall in love with this pretty Victorian Village home in Derby, VT - it's our Deal of the Week! Built in 1850,this four bedroom two bath home has a huge updated kitchen, new hot water tank and updated vinyl thermo windows. Unique features include a cozy dining nook, grand stairway, huge full downstairs bath with laundry and wraparound rocking chair porch. Conveniently located close to the Junior High School and down the street from the Derby Village Store. This is a great family home and is waiting for it's new owners! Pretty 0.53 acre yard; $159,000. Click here for more information and call Lyell Reed to see this lovely home. This gorgeous custom built contemporary ranch in Derby, Vermont is our Deal of the Week! So much attention to detail in this four bedroom, three bath home! Gourmet granite kitchen has red birch cabinets, a Wolf range and double ovens. Open living/dining area with gas fireplace, wood floors, high ceilings and over-sized windows to let in the light and view. Retreat to your Master Suite with private custom tiled shower and whirlpool tub. More features include your own private gym, family room with wood stove and guest room with private bath. Daylight walk-out basement could easily be converted to in-law apartment with it's own access and plumbed in area for kitchenette. Attached 2-car garage with plenty of storage above. The home sits on a secluded 6 acre lot overlooking Memphremagog, yet is close to schools, the hospital, bike path and shopping. Truly, a magnificent home in a wonderful location! $419,000. Click here for more information and contact Connie Isabelle to see this property. 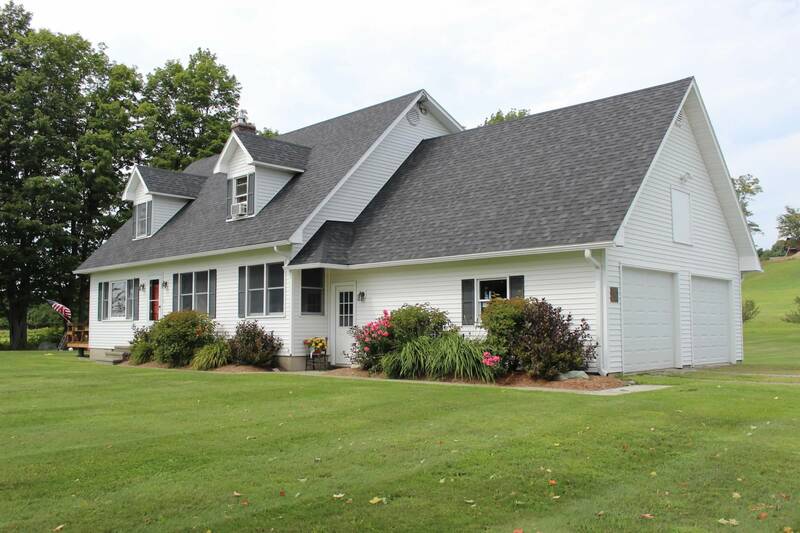 This affordable home in Derby, Vermont is our Deal of the Week! This three bedroom, one bath, home was originally a mobile and was converted into a ranch-style house. It has a full foundation and partially finished basement that can be made into a family or game room. Includes a small barn, insulated heated garage, storage shed and a nice big lawn (1.42 acres). Needs a little TLC but is priced to sell at $95,000 - now THAT's a Deal! Click here for more information and call Bruno Marquis to schedule a showing. Our Deal of the Week is located in Eagle Point, one of the Northeast Kingdom's most beautiful settings! 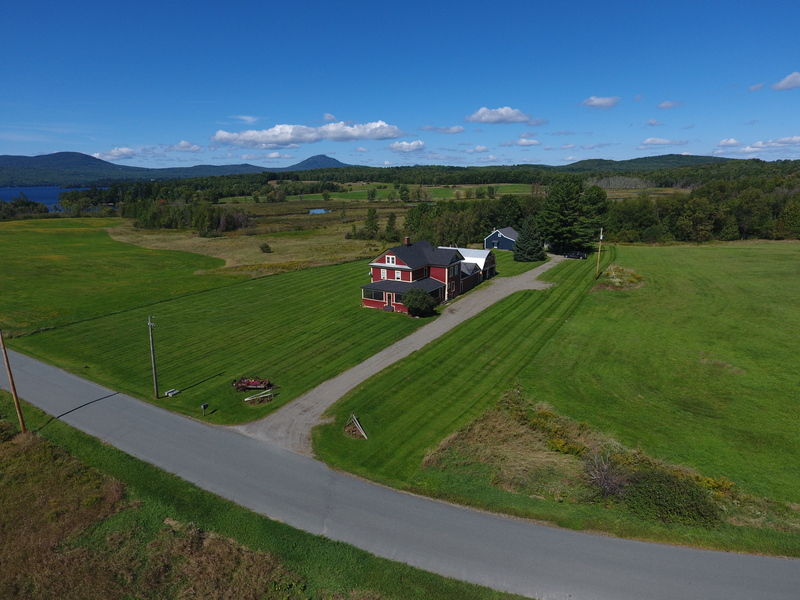 This lovely Farmhouse in Derby, Vermont sits in the middle of over 400 acres of conserved land known as the Eagle Point Wildlife Management area and offers views of Lake Memphremagog. The home has two bedrooms and 1.5 baths and beautiful woodwork throughout. Large covered screened in porch allows you to capture the surrounding beauty. Includes a separate cottage - perfect for your guests or use it for extra income! Both houses are on 2.74 acres; $259,000. Click here for more information and contact Nick Maclure to see this wonderful property.